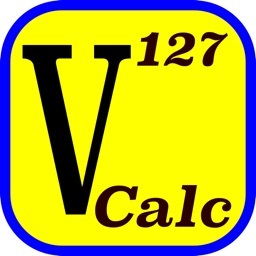 V-Graph Save is a scientific graphing calculator for iPhone and iPad that is designed to solve real problems in engineering and science. • Solves and plots explicit and implicit equations. 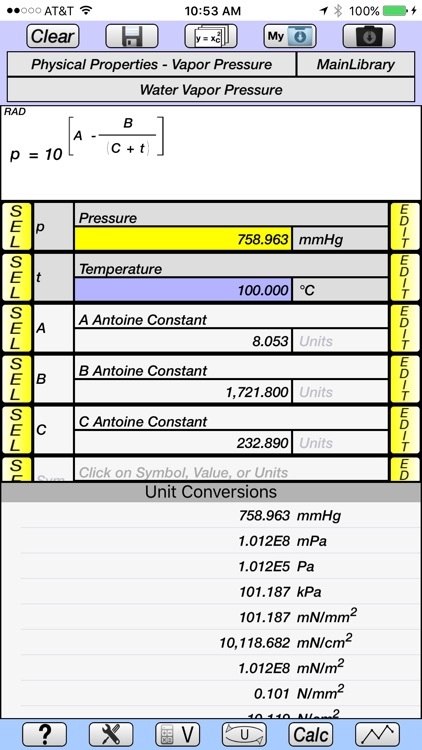 • Equations, constants, and user-defined unit conversions can be saved into libraries. 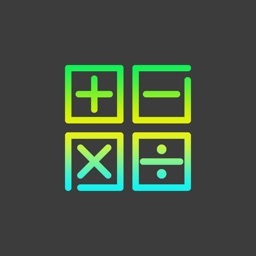 • Tutorials provide demonstration of the calculator's capabilities by programmatically stepping through graphing, equation creation and saving to the library, and unit conversion examples. • Plots explicit and implicit equations. 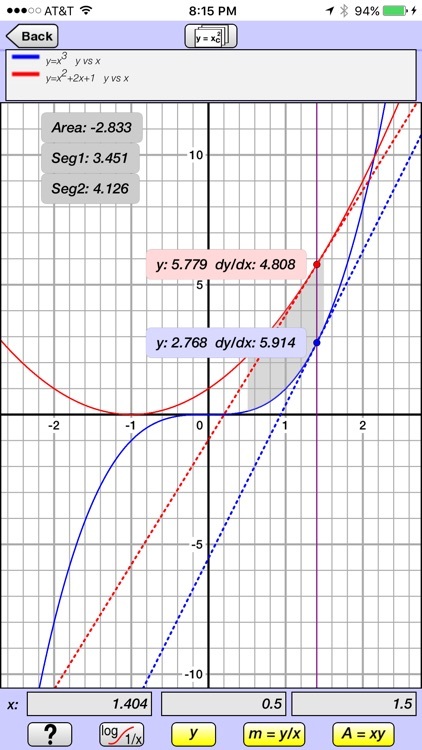 • Up to 3 equations can be plotted simultaneously. • Pinch and Pan capabilities. 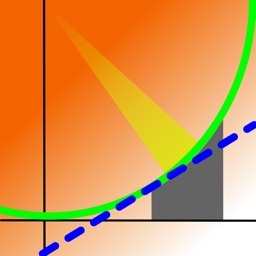 • Linear, log, inverse, inverse for celsius, inverse for fahrenheit scales for both x and y axes. 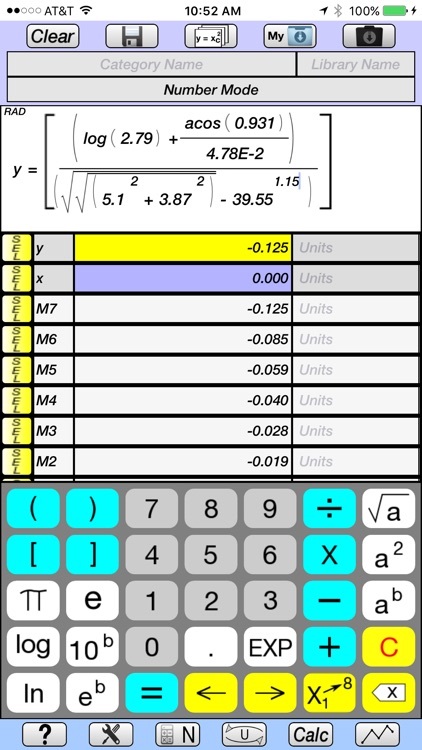 • Cursor displays both the y-value and slope for each equation. • Cursor can be controlled by a finger or by entering an exact x-value. • Area under the curve and line segment length can be displayed for a specified x-value range for one equation. 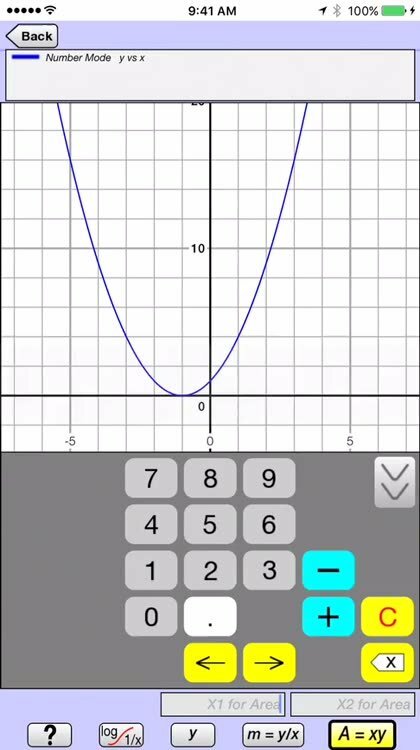 • For two equations, the area between the curves and the line segment length for both curves are displayed. • Number Mode allows equations based on y (dependent variable) and x (independent variable) to be quickly created, solved, plotted, and have unit conversions carried out on the dependent variable. • Variable Mode allows equations with more complex variables to be created and saved to the equation library under user-defined categories. • Up to 3 equations from the library can be plotted simultaneously. • Super- and sub-scripting of variables. 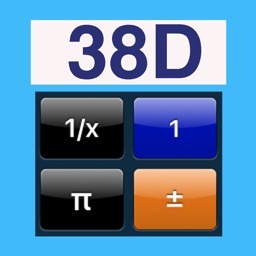 • Previously used equations are maintained in memory and can be easily accessed. 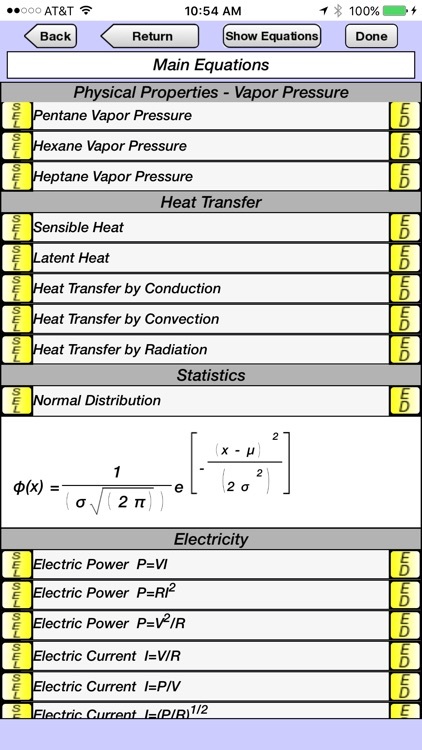 • Equation library with categories of Algebra, Geometry, Physical Properties (Vapor Pressure), Heat Transfer, Statistics, and Electricity. • New Equations and Constants can be saved to libraries under user-defined categories. 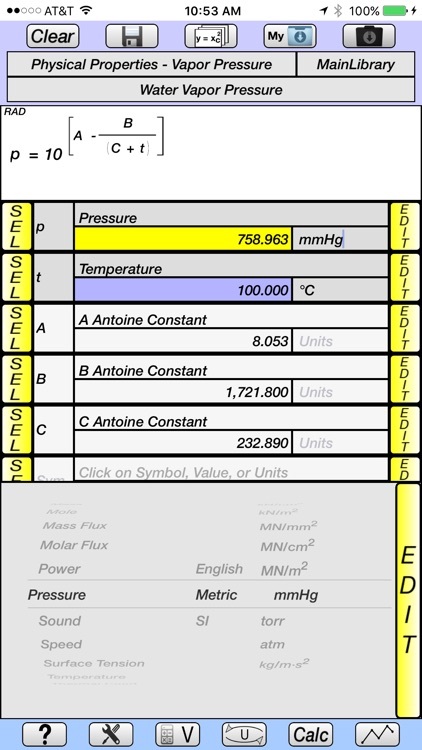 • Memory stack maintains values, variable symbols, and equation names of an unlimited number of previous calculations. • Convergence criteria and maximum number of iterations can be specified for implicit equations.